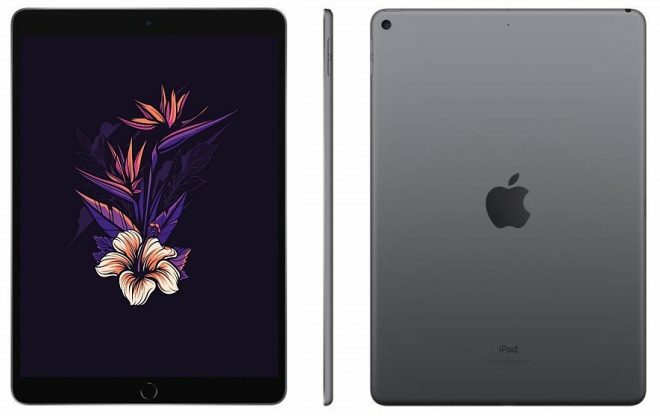 The new Apple iPad Air 10.5 then is like the top line version in the non-pro lineup, and it will be sold alongside the iPad 9.7 for some time still, and alongside the new iPad mini 5 that was also announced today. So just how airy is it? Well, at 456 grams, it’s lighter than the even the 482 grams Samsung Galaxy Tab S4 10.5. Also, it’s just 6.1mm thick, so those are good stats. 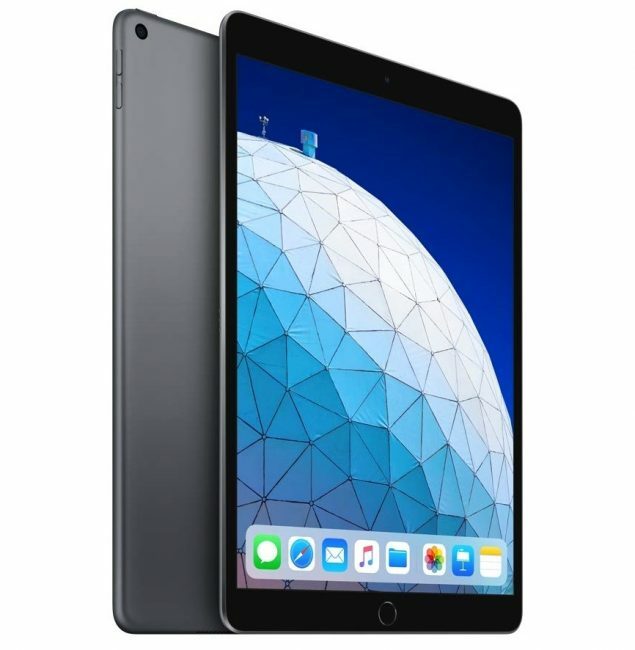 Apple iPad Air 10.5 features the traditional old-school iPad design, with a home button/Touch ID fingerprint reader, and the 10.5-inch screen sports a LED lit 2224 x 1668 resolution display with 500 nits brightness and support for the Apple Pencil digitizer. 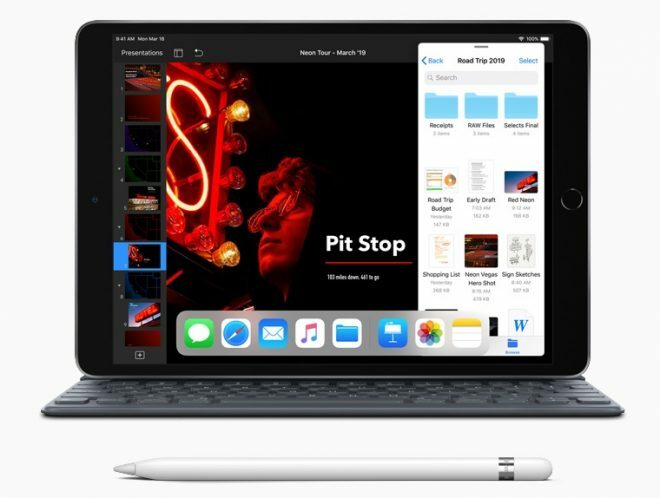 Powered by the hexa-core Apple A12 Fusion chipset, it’s both snappy and powerful at the same time, but still just enough less powerful to create a small gap between these iPads and the A12X powered iPad Pros. Storage options are 64GB for $499, and 256GB for $649, plus another $150 for those who want the 4G LTE option. 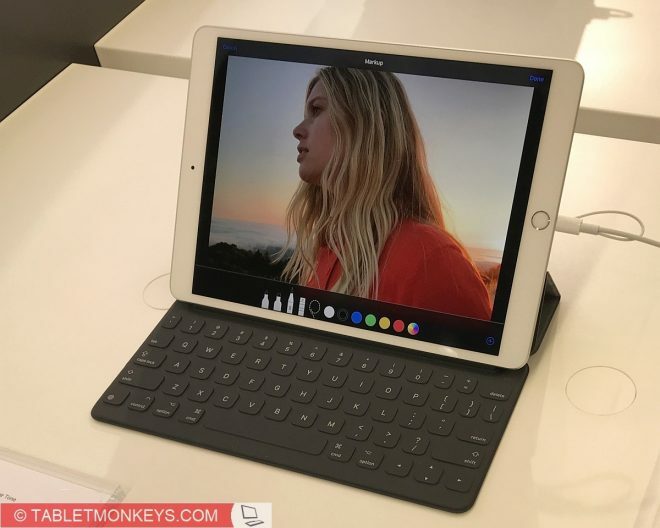 And where the iPad Pros features 4K cameras and quad-speakers, the iPad Air 10.5 manages to be a little cheaper by opting for stereo speakers and Full HD video recording, through the 7MP front camera, or the 8MP rear camera. And if you were curios about the headphone jack, then yes the 3.5mm headphone jack is present, as is the lightning connector. The iPad comes with a Lightning to USB cable. 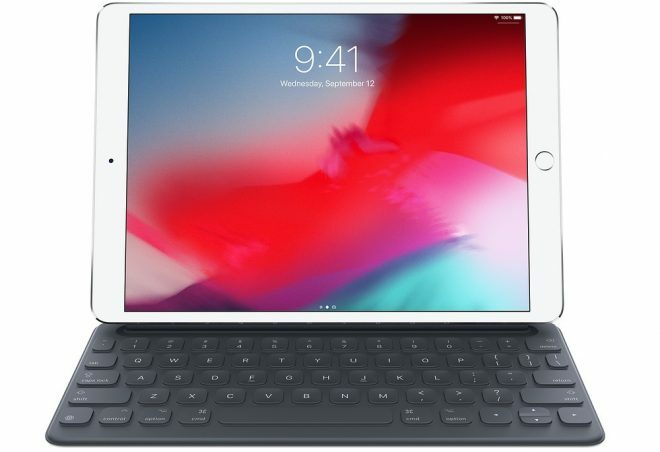 iPad Air 10.5 battery life is 10 hours long, and naturally the iPad has dual-band 802.11 a/b/g/n/ac Wi-Fi cover, Bluetooth 5.0, optional 4G LTE with eSIM, and runs iOS 12.1. Color options are space gray, silver, and champagne gold, and they will all be launched Tuesday next week. Custom fitted iPad Air 10.5 accessories apart from something like the Apple Pencil stylus, also includes the optional Smart Keyboard cover which is the same width as the 10.5-inch iPad. This keyboard cover can even be curled up while still in stand mode so that the keyboard hides behind the iPad, which I find convenient. 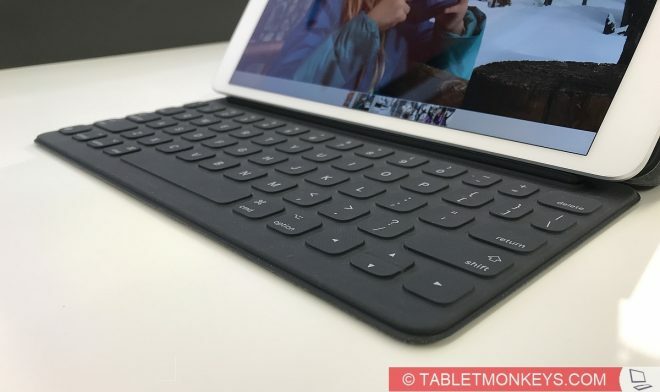 The keyboard is also very good to type on, as the keys are responsive and accurate just as you want them to be, and the Apple iPad Air 10.5 keyboard is quiet enough to be used in a library too.